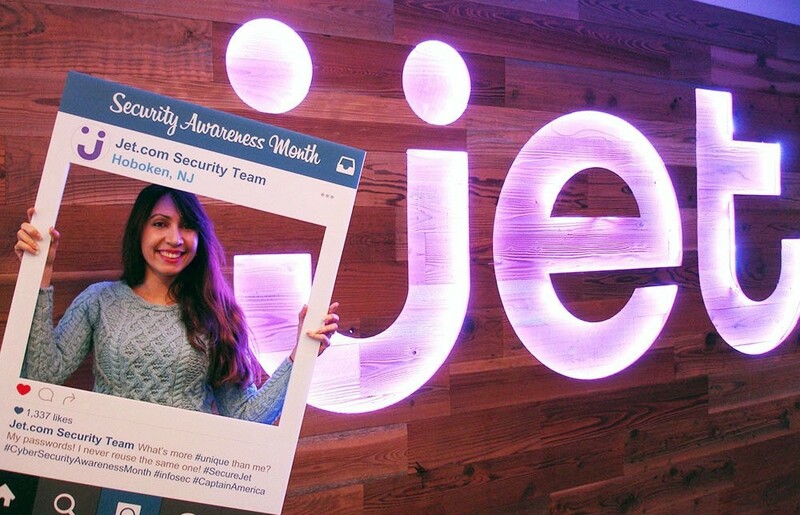 To celebrate Women’s History Month we decided to profile women in tech roles across the Jet organization. 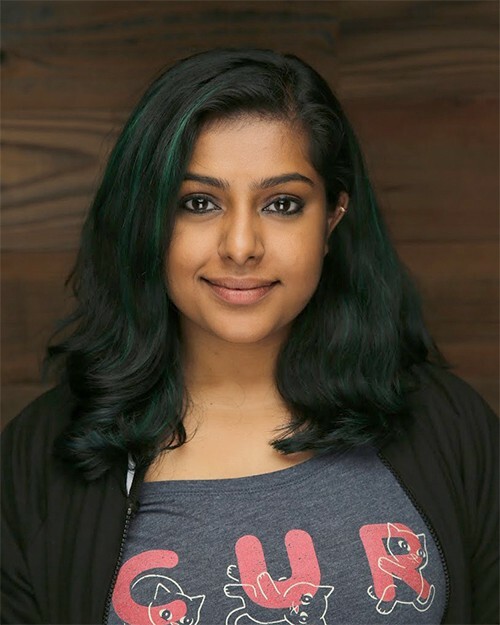 Learn about their experiences here at Jet and working as women in tech. At Jet, we are building the future of eCommerce. Being successful requires more than just the right bits of tech, it requires people power. We know it is important to bring in a variety of viewpoints and perspectives to make a great workplace and to build an online experience that resonates with the wide spectrum of Jet shoppers out there. Who we are inside permeates what we show the world. Our efforts and values go across the board — from talent operations to engineering. We work hard to build a diverse and inclusive workplace where every associate can contribute and thrive. As part of our Women’s History Month celebrations we are highlighting several of the wonderful and talented women here in the Jet Tech organization. We asked tech associates from different areas to share their stories, their experiences here at Jet, and their advice for women who are already in, or who are looking to enter, the tech world. If you like what they have to say, why not join them? Check out our open roles, which are open to everyone. The more unique you are, the better. I am part of the team that creates and maintains the systems that connect thousands of customers to automated and human help across Walmart, Jet, and Hayneedle. I grab coffee from the kitchen and attend the stand-up meeting with the rest of my team. This helps me take stock of my progress and what needs to be done for the day. This is followed by few hours of productive work till lunch. I try not to have lunch at my desk; I usually have lunch with my team or catch up with someone else at Jet. There might be a meeting later on or a Jet in-house event. I try to wrap up my work by 5:30 so I can get home and walk my dog before he gets grumpy. Jet Technology has great emphasis on continuous learning — As an engineer you need to be cognizant about the latest developments in tech. We have an awesome LTE [Learning, Training, Evangelism] team that hosts speaker events, learning groups, conferences, book clubs, and so much more! My undergrad degree was in Electronics Engineering, but I enjoyed the parts which had programming. I even helped a Professor create the lab manual for MATLAB. I worked for three years as a developer before feeling that maybe I missed out on more Computer Science classes. I decided to pursue my Masters in CS: Distributed Systems with a minor in programming languages. After that, a Jet recruiter reached out to me. I was impressed by the core principles of Jet, as well as the people who interviewed me. It’s been three years at Jet so far. I’ve been incredibly privileged to have programming as part of my school coursework. I started programming around 11 years old and learned C++ in high school. My family bought me a secondhand desktop system and also sent me to summer coding classes. I could pinpoint it to my CS teacher in high school. She encouraged us to write our own silly games, and I have been hooked ever since. Build your network in tech consisting of allies, mentors, sponsors and other women in tech. Sometimes you might be the only woman in the entire department and it can get daunting. Having a crew on your side will help you stay grounded and get you through the bad days. I joined Jet as one of the first hires when we opened the Dublin office. My initial role was working on Jet’s DevOps team in Hoboken, where I touched most, if not all, the areas of the Jet platform. In the past year, I transitioned to a role concentrated on dev-tooling, where we managed to make many significant changes. I am currently an Engineering Manager helping colleagues navigate their careers in the best way both for them personally and for the company. A day in my life: Due to the timezone difference between Dublin and Jet’s Hoboken HQ, mornings in Dublin are often peaceful, and a lot can be done. My morning is the time for me to catch up on last night’s communication and to plan out and prepare for the rest of my day. Once Hoboken comes online, I try to make myself available to work with the team there. A bit later on, the Walmart team that I also work with comes online and I start interacting with them. I leave the office around 6 PM, but usually, I still keep an eye at what’s going on later in the evening. I love that at Jet everybody wants to make things happen. Changes are done very quickly, people are open to suggestions. We try something, we fail, we try something else. Eventually, we find a good solution — often in a surprisingly short amount of time. People are generally positive, and that is very important, in my view. Before joining Jet, I was a System’s Engineer for a high-frequency trading company. There we were doing DevOps before the term was really invented. After that, I moved to Ireland and worked as a software developer for a few years. Eventually, I moved back to operations and production engineering, where I worked for another eComm company. I made the transition to Jet because of a recommendation from a former colleague. It was risky to move from a large company to one that had an office composed of a room and a few tables/desks, but I don’t regret it for a minute. I’ve been a part of Jet’s acquisition, growth in the Dublin office, and collaborated and built great relationships with the members of the team in Hoboken. It’s been an amazing journey. I’ve learned so much, and it’s great being part of everything going on here! I’ve been interested in tech since I was a kid. We had a computer at home (which was atypical for Romania at the time), and I would spend as much time as I could, and was allowed, tinkering with it. I’ve studied software development in primary school and in high school. When deciding which university to go to, I was in a difficult place: choose between Law School and continue the family business or CS, which I loved. I was torn, so I actually did both for a couple of years. Then, it became very clear to me that I love tech and wouldn’t be happy doing anything else. I have no regrets with the choice I’ve made. I’m still enjoying the field and love my job. 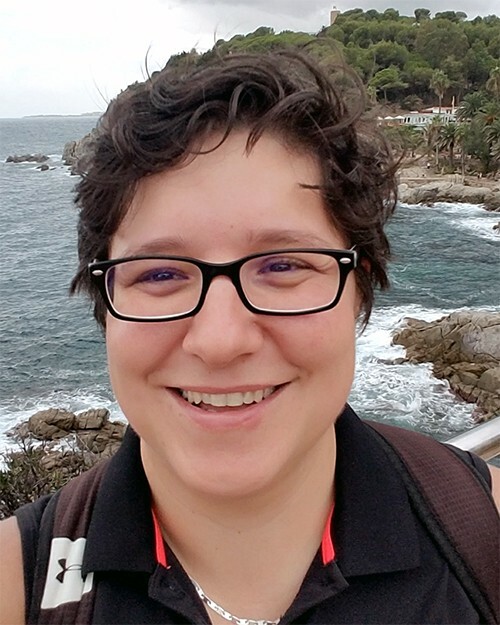 Share your advice for other women who are considering careers in Tech: There are always choices to be made: there are many women who are good at CS, math, sciences. My advice: Don’t be afraid to join the field if you like it. I wouldn’t say that it’s the easy choice, but it sure is the fun one. There’s always going to be a new thing to tackle, a new challenge. A job takes too much time of our lives to not enjoy it and what you are doing. No one day is the same for me, actually. One day I might be doing focus work copywriting and designing, and another day, I might be busy in planning meetings with other stakeholders or leaders. My job isn’t monotonous at all, but it definitely requires time management and planning out my work week ahead of time. I love that our culture here celebrates continuous learning and innovation. I’m regularly encouraged by my manager to pursue professional development opportunities through workshops and courses, and I’m also encouraged to speak up and share my ideas — even if they seem to go against the grain. I also greatly appreciate our culture of diversity and inclusion here and the efforts going into trying to make sure women, people of color, the LGBTQIA+ community, and other historically marginalized groups feel empowered. We have ARGS — or, associate resource groups — that bring together people in these communities, along with allies, to host events and hold campaigns that tackle current D&I issues, such as awareness about microaggressions and imbalances in the workforce. Prior to Jet, I worked as a reporter for a major national news and media company. While I loved storytelling and bringing overlooked issues to light through that, I didn’t feel comfortable with some of the ethics of the business and found the work environment to be toxic — and to be completely honest, I also wanted to find a career that was more financially secure. Having always been a bit of a techie, I looked into the tech industry, stumbled upon a technical writer position at Jet, applied, and the rest is history! I got interested in switching from media to tech because of the differences in culture and opportunities for growth and new experiences in the future. Continuous learning and improvement are greatly encouraged for the most part in the tech space, which I appreciate and value. I also know that tech continues to grow, change, develop, and that there will be more opportunities and uses for it in the near future. It’s great job security, and you get to work at the forefront of innovation and change in the world. Don’t underestimate or limit yourself. Women are more likely than men to avoid going for a job or stepping up to take on a bigger role because they don’t think they’re fully qualified. But rather than letting what you lack hold you back, focus on your strengths, what you can bring to the table, and what you can pick up along the way. Establish credibility about what you know and can do and show confidence and willingness to learn about the things you don’t. A typical day for me involves creating pull requests, reviewing others’ code, working on new features and components using React, collaborating with my peers and Product team on any requirements/changes needed, and addressing PR comments. Jet has an amazing group of people who are passionate about the tech world. It’s a collective drive that creates a dynamic and inspirational culture. Without a doubt, these are my favorite things about working with the company each day. A close tie is the company’s commitment to learning and mentorship. My team, for example, has supported my professional development. It’s part of a mindset that pushes us to learn something new every day. My journey into tech is pretty unconventional. My background is based in production with a fashion-leaning path. I worked with costume designers, celebrity stylists, was an extra on TV shows and movies, and even sang at different venues in Los Angeles. These were amazing experiences that helped me work my way through my undergraduate degree and through graduate school. I continued to pursue the fashion and production world after relocating to the Big Apple. 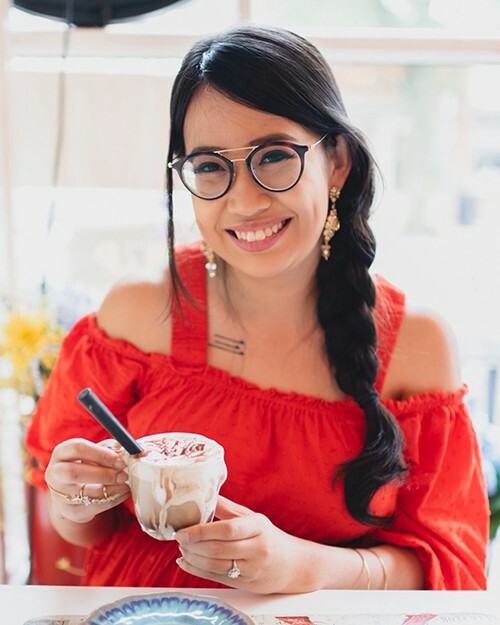 Between jobs at NY Fashion Week and with some independent designers, I accepted a temp job with a little-known e-commerce company in Hoboken called Jet.com. This experience was my introduction to the tech space and became the launch pad to my passion for all things tech. I worked my way through different teams with the company and proudly stood alongside my peers as we saw the company grow. What brought you to Jet? After completing my Master of Sciences degree, I came to New York with no connections or acquaintances and signed up with a temp agency. I was assigned to Jet the day after it had officially launched. From that day on, I fell in love with the tech world and became hooked by the chaos, passion, and belief that we could be big and do great things. With a lot of hard work, dedication and good timing, I was hired full-time as a product specialist on the search engine team and started learning more technical skills. My work designing the team’s portal made me fall in love with coding and front-end development. With a lot of self-learning and a training opportunity on an amazing team (Merchandise Management & Analytics), I recently joined them as a Software Engineer. Give yourself permission to be confused. Not everyone has a well-defined path. This is especially true if you’re changing careers as I did. Set small goals to accomplish each month. For example, learn some tech jargon and have informational meetings with people who work in the industry one month. This will allow you to discover what suits your interests and try to get a feel for industry trends and maybe learn how to write one line of code. Setting and accomplishing these goals will grow your skills, boost your confidence, and empower you in your own professional development. But most importantly, never stop learning and always be true to yourself. 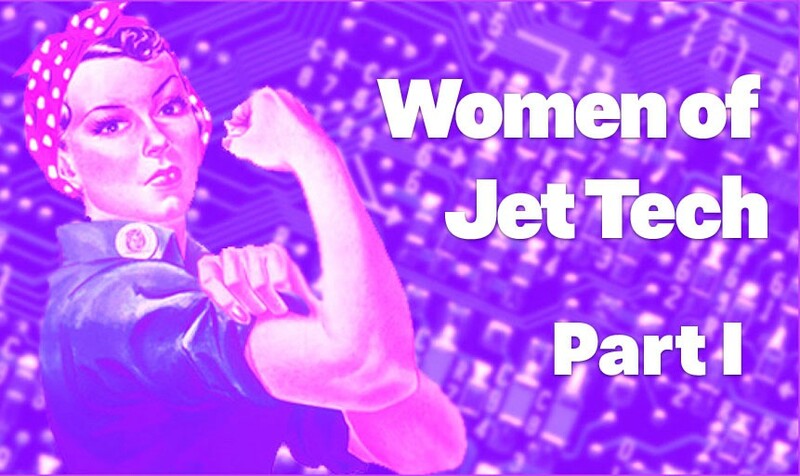 Please help us share the word about the great women helping to make Jet a great website for our customers and a great place to work for me and my peers. Share this article on your social feed, clap for this article (click the button up to 50x! ), or leave a comment below to ask questions and to help celebrate Women’s History Month. Don’t forget to check out Part II of this post! Like what our featured women had to say? Want to work at an inclusive tech company, where we have fun and work on cool engineering projects? Did I mention great perks? What are you waiting for? We want you to check out our roles and come join us!